Announcing the national tour for Speaking Up, by Gillian Triggs. 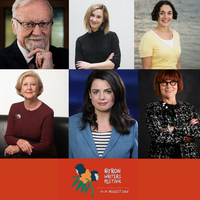 This past weekend, six authors from the MUP stable headed to the stunning northern rivers of Byron Writers Festival for a weekend of curiosity, connection and robust intellectual tussles. 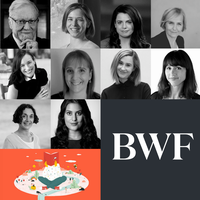 Join MUP authors Louise Milligan, Joelle Gergis, Nikki Gemmell, Gareth Evans, Amanda Dunn, Ellen Broad, and more at the Brisbane Writers Festival​ this September. Congratulations Susan Alberti AC for being crowned the 2018 Victorian of the Year award! Upcoming and A-list Australian authors, media and politicians united for an intimate event with big ideas at the annual Melbourne University Publishing Dinner held during the Sydney Writers’ Festival. 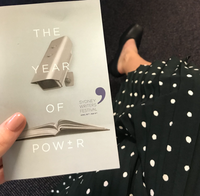 As publishers across Australia return to overflowing inboxes this week, sleep-deprived and experiencing serious festival withdrawals, MUP Senior Publicist Tessa Connelly recaps our small slice of this challenging, inspiring and powerful Sydney Writers’ Festival.